The world needs more George Carlins, not Al Gores. 8 Mar 10 – “Almost all of the ice-covered regions of the Earth are melting — and seas are rising,” said Al Gore in an op-ed piece in the New York Times on February 27. Both parts of Gore’s statement are false. Never mind that Mr. Gore makes only passing reference to the IPCC’s fraudulent claims that the Himalayan glaciers will all melt by 2035. (“A flawed overestimate,” he explains.) 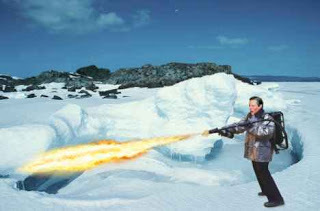 Never mind that Mr. Gore dismisses the IPCC’s fraudulent claims that the oceans are rising precipitously. (“Partly inaccurate,” he huffs.) 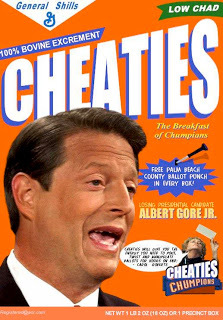 Never mind that Mr. Gore completely ignores the admission by the CRU’s disgraced former director Phil Jones that global temperatures have essentially remained unchanged for the past 15 years. I’ll let someone else dissect Gore’s lawyering comments, and concentrate on just the one sentence about melting ice, because neither part of that sentence is true. Contrary to Gore’s assertions, almost all of the ice-covered regions of the Earth are growing, not melting — and the seas are not rising. Let’s look at the facts. If you click on the words “are melting” in Gore’s article, you’re taken to a paper by Michael Zemp at the University of Zurich. Mr. Zemp begins his paper by warning that “glaciers around the globe continue to melt at high rates.” However, if you bother to actually read the paper, you learn that Zemp’s conclusion is based on measurements of “more than 80 glaciers.” Considering that the Himalayas boast more than 15,000 glaciers, a study of “more than 80 glaciers” hardly seems sufficient to warrant such a catastrophic pronouncement. Especially when you learn that of those 80 glaciers, several are growing. The basic conclusion is that if this is being driven by human impact then you would expect it to continue but as climate change continues to change, the current situation changes too. 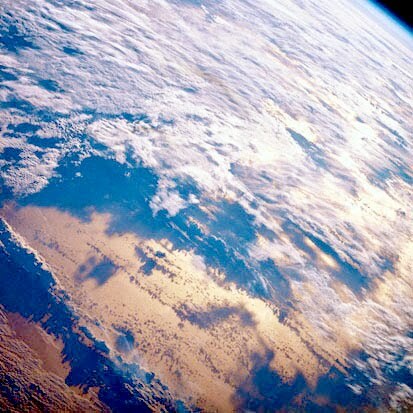 This pattern has strengthened in the past 30 years and some of the computer models that reproduce this are showing that it looks like it has happened because of greenhouse gases – carbon dioxide – and also ozone (being depleted). Here we reconstruct the austral summer (December–January) Antarctic oscillation index from sea-level pressure measurements over the twentieth century5 and find that large positive values, and positive trends of a similar magnitude to those of past decades, also occurred around 1960, and that strong negative trends occurred afterwards. This positive Antarctic oscillation index and large positive trend during a period before ozone-depleting chemicals were released into the atmosphere and before marked anthropogenic warming, together with the later negative trend, indicate that natural forcing factors or internal mechanisms in the climate system must also strongly influence the state of the Antarctic oscillation. 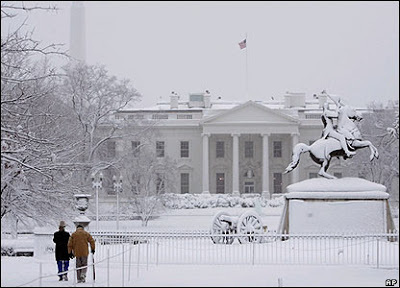 Washington D.C. and the Mid-Atlantic States have been hammered by another major snow storm, which exceeds the Dec. 19, 2009 storm that forced President Obama to curtail his time in Copenhagen. This is the first time since record keeping started that two storms of such magnitude have hit the region during one winter. Already some localities are reporting the largest snowfall ever recorded. To be sure, these events do not prove or disprove human caused global warming. But the momentum is now very much on the side of skeptical scientists who question these theories and President Obama should at least pull back from his awkward juxtapositions. Here’s what he said in The State of the Union: “I know there have been questions about whether we can afford such changes in a tough economy. I know that there are those who disagree with the overwhelming scientific evidence on climate change. But here’s the thing — even if you doubt the evidence, providing incentives for energy-efficiency and clean energy are the right thing to do for our future — because the nation that leads the clean energy economy will be the nation that leads the global economy. And America must be that nation.” On Saturday, during a gathering of the Democratic National Committee (DNC) in Washington D.C., Obama called this most recent storm “Snowmaggeddon” putting it on a par with what he experienced in Chicago. 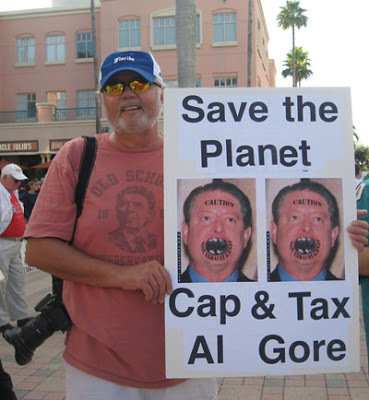 Looking ahead to the 2010 mid-term elections, Republicans should make more of an issue out of the “climategate” scandal involving leaked emails Climate Research Unit (CRU) of the University of East Anglia in the United Kingdom. It’s always possible to persuade the public on the basis of dire emergencies, which is why scientific evidence undermining alarmism deserves greater expression. The science the EPA has used to justify its finding that human emissions of carbon dioxide endanger public health and welfare should be subjected to vigorous criticism in the coming months. In the Federal Register, EPA states: “Warming of the climate system is unequivocal, as is now evident from observations of increases in global average air and ocean temperatures, widespread melting of snow and ice, and rising global average sea level. … Global mean surface temperature was higher during the last few decades of the 20th century than during any comparable period during the preceding four centuries.” Last year The Competitive Enterprise Institute (CEI) exposed how the EPA had suppressed a scientific study that concludes natural forces as opposed to human activity are largely responsible for temperature changes. 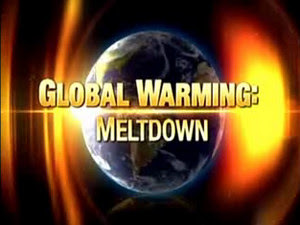 Now is the time to attack the soft underbelly of unsubstantiated global warming alarmism. More snow is on the way tomorrow.